KD156D – KNOCK DOWN – GREENHOUSE – VEGETABLE – KUUS Inc. This insecticide may be used in greenhouses throughout the growing season or as a pre-harvest treatment when other insecticides are prohibited due to residue restrictions and use limitations. To control insects named, apply this spray to provide thorough coverage of upper and lower leaf surfaces. Repeat treatments weekly or as needed to control infestations. May be applied one day before harvest. 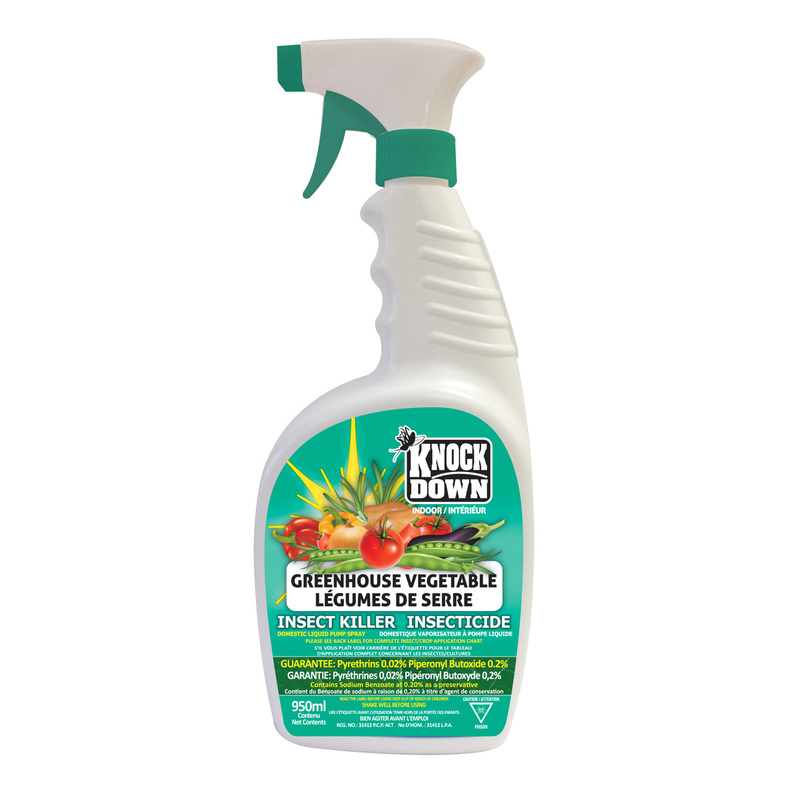 This insecticide may be used in greenhouses throughout the growing season or as a pre-harvest treatment when other insecticides are prohibited due to residue restrictions and use limitations. To control insects named, apply this spray to provide thorough coverage of upper and lower leaf surfaces. Repeat treatments weekly or as needed to control infestations. May be applied one day before harvest. Do not spray in direct sunlight. Spraying in early morning or in the evening is preferred. Hit insects directly with spray. Use with caution on young plants and new growth. Spray when air is still and temperature is below 32°C.